Lyric Aussies is located in Carlsbad in beautiful Southern California. We have been raising, training and successfully competing ASCA and AKC with our registered Australian Shepherds for over twenty years. 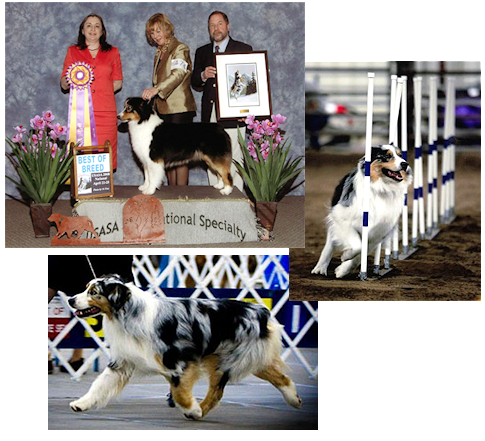 Lyric is recognized as a Hall of Fame Kennel in both Australian Shepherd Club of America (ASCA) and United States Australian Shepherd Associaton (USASA). Lindy is an ASCA Senior Breeder Judge and an AKC Breeder of Merit. copyright © 2018 Lyric Australian Shepherds All Rights Reserved.